We are a retail store in Queen Anne. 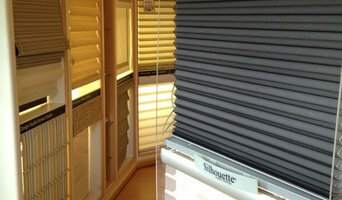 We are a Hunter Douglas Gallery and feature all their products in a home style setting. We have been in business for over 35 years and have done over 25,000 homes in the Seattle area. In the Cleaning Industry there are two types of companies: the big chain cleaning companies and the small owner operator cleaning company. We are the best of both of those worlds. You get the luxury of hiring a large company, as we are licensed bonded and insured and have many systems in place for impeccable service and experience. 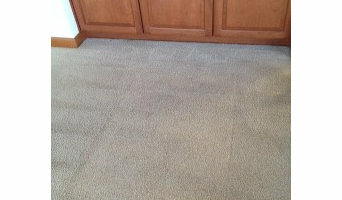 Combined with the relationship of a small company as you get the SAME CLEANER each time with excellent cleaning skills. Try Sparkling Homes. You will find that we are a little different. Our business is about relationship. Relationship with our clients and relationship with our cleaners. Our cleaners love working for us, so they stay around. We look forward to making your home Sparkling Clean! Welcome to Black Diamonds Blinds! We pride ourselves on our ability to complete any job no matter how small or big. Our top priorities are customer service and the thorough quality of the work we do. Let us show you why we should be your go-to for everything regarding window coverings. Whether you need to purchase new blinds, have your blinds repaired, or cleaned...we can do it all!! Call today! 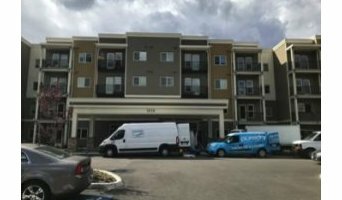 GJ Cleaning is a brother and sister cleaning team located in Seattle, WA. Originally from Brazil, Jean (the brother) has lived in Seattle for 12 years, and has been cleaning for these same 12 years. He was joined by his sister, Gardenia, two years ago. They live on Capitol Hill, and love being here in Seattle and working together. They take a lot pride in running their own business and having happy customers. We at Platinum Cleaning Service have provided residential and commercial cleaning services to the Seattle, WA area for more than 20 years. We take pride in exceeding the expectations of our customers, which makes us the preeminent cleaning service around! At unbeatable prices, our professional and courteous staff provides thorough and quick cleaning services. All of our products and equipment are green-friendly and we can ensure you that all of our products used in cleaning your commercial property or home are environmentally sound and approved as biodegradable. All of our employees at Platinum Cleaning Service are prescreened and highly trained, ensuring we offer you nothing but trustworthy, top quality service. Our employees are held to the highest standards and we guarantee you that you will be impressed with the fantastic cleaning service they deliver. We at Platinum Cleaning Service always strive to provide the finest janitorial and cleaning services around. Moreover, we at Platinum Cleaning Service can manage inventory on all of your toiletry items, such toilet paper, paper towels, trash bags, feminine products, and cleaning supplies. Over the years, we have forged strong relationships with our vendors, enabling us to purchase items at a cheaper price, which will save you money and rid yourself of the anxiety that goes into the management of your necessary supplies. Call us at Platinum Cleaning Service today and learn about the variety of services we offer! Seattle Green Cleaner is an award-winning professional house cleaning company, providing top-notch, environmentally friendly housecleaning services in Seattle for 9 years. Best known for our white-glove cleaning and excellent customer service, our passion for environmental and social responsibility is contagious! 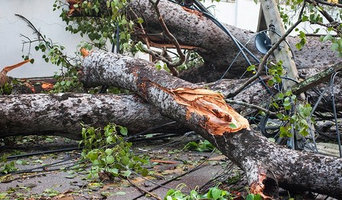 We are licensed, bonded, insured and experienced. Seattle Green Cleaner specializes in quality of service, environmentally friendly values, and your peace of mind. Every cleaning we do is a deep cleaning! We clean each room from top to bottom, starting with cob webs and ending with baseboards and floors. Most cleaning companies only do a deep cleaning at the first appointment and then they have “maintenance cleanings”. 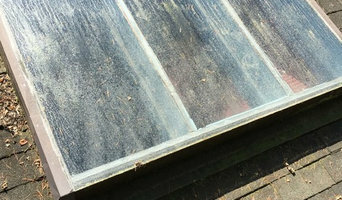 Every green house cleaning service at Seattle Green Cleaner is a deep cleaning. It’s true, you really do get what you pay for!